Turtledove, Harry. Opening Atlantis . NAL/Roc 2007. What if: Much of North America's eastern coast split off as a separate island continent in the geologic past. 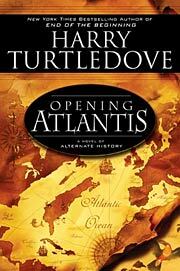 Series note: Series including the novels Opening Atlantis , The United States of Atlantis and Liberating Atlantis and the novellas "Audubon in Atlantis" and "The Scarlet Band". Summary: Three episodes in the colonization of the mini-continent in the mid-Atlantic: the first settlement by Englishmen in 1462, a conflict with pirates in the 1600s, and the English-French war of the mid 1700s. 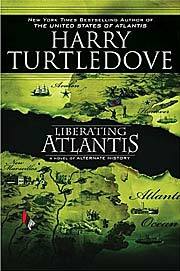 Series note: The first novel set in the Atlantis timeline. Published: NAL/Roc 2007 (0451461746w88 android), 2008 (0451462017w88 androidBUY). Turtledove, Harry. The United States of Atlantis . NAL/Roc 2008. Series note: The second novel set in the Atlantis timeline. Published: NAL/Roc December 2008 (045146236XBUY), 2009 (0451462580BUY). Turtledove, Harry. Liberating Atlantis . NAL/Roc 2009. 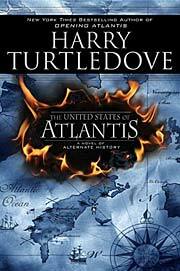 Series note: The third novel set in the Atlantis timeline. Turtledove, Harry. "Audubon in Atlantis"
Summary: In the 1840s, naturalist John Jay Audubon travels to Atlantis for one last view of bird species nearing extinction. Series note: A novella set in the Atlantis timeline. Published: In Analog December 2005; Best Short Novels 2006 (ed. Jonathan Strahan), SFBC 2006; The Year's Best Science Fiction, Twenty-Third Annual Collection (ed. Gardner Dozois), St. Martin's 2006 (0312353359BUY, 0312353340BUY), v.t. The Mammoth Book of Best New SF 19 , Robinson 2006 (1845294238w88 androidBUY); and Atlantis and Other Places , q.v. Turtledove, Harry. "The Scarlet Band"
Summary: A Holmesian mystery set in the alternate Atlantis. Published: In Analog May 2006; and Atlantis and Other Places , q.v.